Nintendo released Super Mario Maker last September. It was and remains a brilliant game with only minor hangups. Its biggest problem, perhaps, was the limited install base of the Wii U itself. Despite the game's prowess, its commercial success was limited by the amount of Wii Us owned by players. The Nintendo 3DS is out there in customers hands in a way, way larger number. Super Mario Maker for Nintendo 3DS, then, stands as a great intro to those players and a strong opportunity for Nintendo to make a whole lot more money with this game. Is it worth it, though? Should Wii U owners dive in? First timers? Here we go. 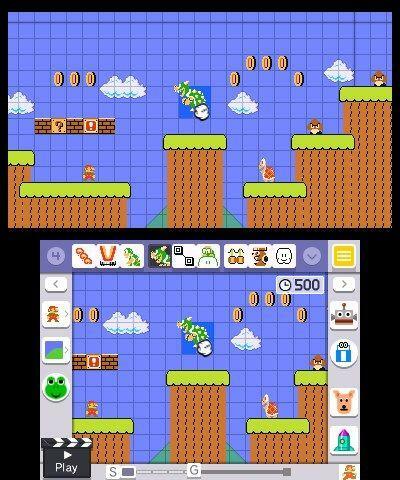 The course maker in Super Mario Maker for Nintendo 3DS is largely the same as the one we had on the Wii U. You won't be able to turn your hand into a cat paw, at least not that I could tell, and it sounds like there's some new music here and there to boot. Otherwise, this feels like what we had before. There's an edamame-loving pigeon named Yamamura here. He'll offer some tutorials that are pretty solid when it comes to some level creation tips. You won't absolutely need them, but they're there. Really, the only issue I have with the course maker in this game is that it's been gimped in the online department. You can only share your courses with friends via local play or through Streetpass. I won't be able to send a buddy in Ohio my course unless we somehow meet up. I also won't be able to share my course with the world to be rated, starred and shared. In fact, you can't star any courses in this game. Even in the Course World mode that lets you play some of the Wii U-made courses, you can't star them. 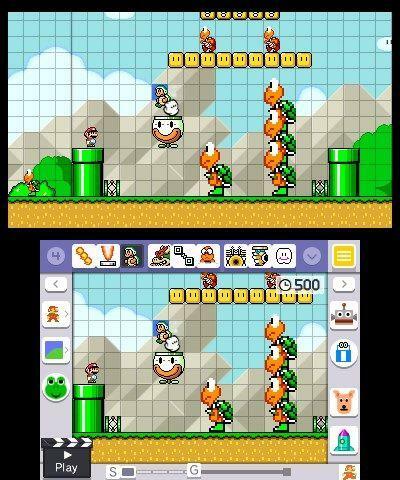 That sort of handicaps any community contribution the 3DS side of Super Mario Maker can make. You can't rate the best courses and you can't upload your own, instead acting like a lesser-than community next to the Wii U. Before you blast off into the fully fleshed-out course creation mode, understand that not everything is unlocked. 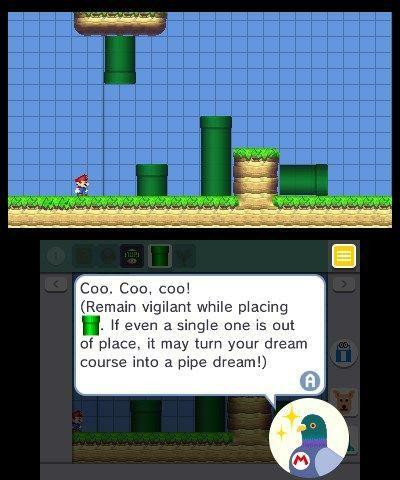 Yes, just like the Wii U version of the game, Super Mario Maker for Nintendo 3DS locks course creation items away initially. Just about 20 of them, by my count. With the Wii U version, players had to spend a small chunk of time in the course maker on a daily basis. Once per day, spending time would unlock course creation tools. It took something like nine days to earn everything, and Nintendo's logic was that players should learn the tools they have before they get new ones. You could cheat the system and move your Wii U clock forward by a day to unlock the next batch, and you were done in like an hour or so. Nintendo had the right idea here, but the execution and timing wasn't so hot. I still feel that way. This process of unlocking objects as you learn made sense to me, but spreading it over days was absurd. Why not just intro new items in one day as the player spent more and more time in the creator? I say all this because I felt the Wii U's system for unlocking was largely unnecessary; but, I understood Nintendo's logic. On the 3DS? Forget it. I don't understand their logic. There's a new mode in this game. I'll get to it in the next section because it's largely awesome. 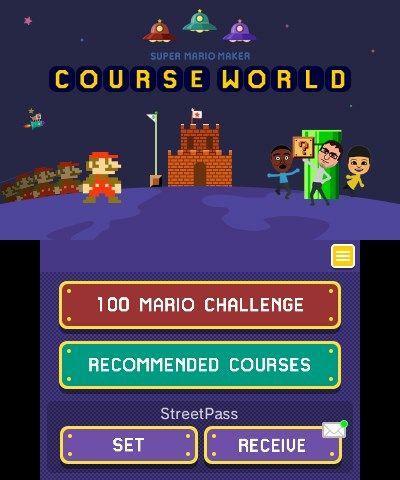 The Super Mario Challenge features 100 courses over 18 worlds. 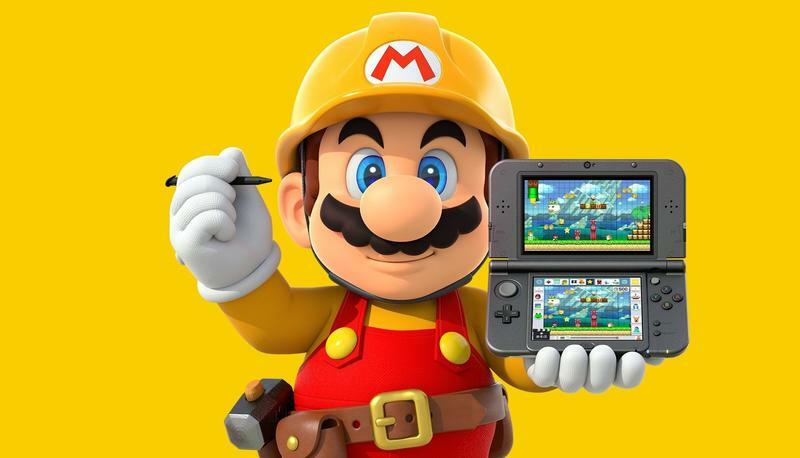 The only way to unlock tools in Super Mario Maker for the Nintendo 3DS? Beating worlds in the Super Mario Challenge. Q. How do I get more course elements? A. 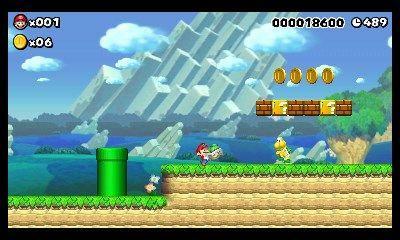 Course elements are added as you clear worlds in Super Mario Challenge. That's wonderful for the first five or six worlds. But when that item that you really want to use is locked away 15 worlds deep, it's a slog. That especially applies to the later levels. 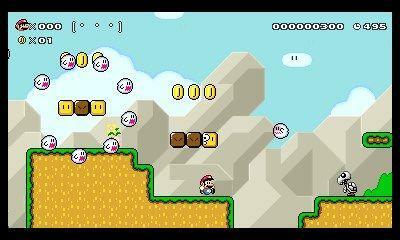 Those would be super fun and challenging, except by world 18 I was simply playing to unlock stuff, not to enjoy Mario. I understand that with the Nintendo 3DS comes a much larger base of players than the Wii U. 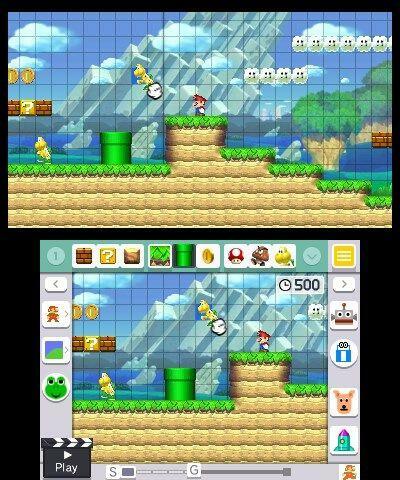 For a lot of people, this 3DS version of Super Mario Maker will be their first exposure. However, making it so time-consuming to unlock all of the game's course elements even for veterans of the Wii U version is frustrating. There's no way around that. If you don't care about unlocking course creation tools, then you can genuinely take your time and enjoy Super Mario Challenge. I found the mode frustrating only because Nintendo decided to set it up as a barrier to the tools I already mastered in the Wii U version of the game. If I'd played this mode without the albatross of getting the level making tools I wanted hanging around my neck, I would have absolutely adored it. Nintendo created 100 courses spreading over a wide range of difficulty and mechanics. Some are simple remakes of classic levels, while others are just the right touch of tough to be fun. 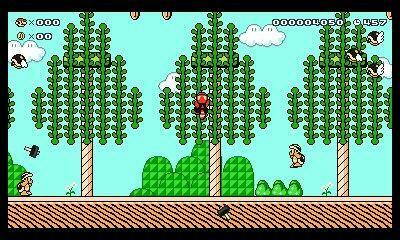 You'll only have 10 lives to start the Super Mario Challenge, though most players will quickly rack up more. 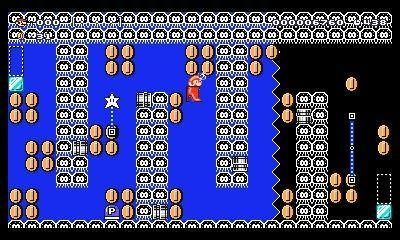 I wound up at the cap of 100 lives around world 11 or 12 and stayed there until the Challenge was done. Some levels chewed my life count down, but ones right after almost always gave me more in return. A few levels peppered in are genuine duds, while others are pure genius. As you beat each level, you'll get it in the Coursebot. That means you'll be able to play it again or edit it as you see fit. The extra stroke of genius in this mode comes from the medals. Each course features two, with one typically harder than the other. While you can earn both through one play, the second medal only reveals itself after you beat the course or inadvertently unlock it. The medals might be banal, like get 100 coins or reach the goal while riding a shoe. Then they might be maniacally genius, like beat the course without pressing back. That's a real challenge. It drove me bonkers, and I loved it. There's no doubt that the Wii U version of Super Mario Maker is the better offering. The ability to actively look for courses, the ability to upload your own and having the opportunity to participate in the community as both a maker and sharer are all huge. There's also no Amiibo support here, so you can forget about using your Amiibo to get all those incredible costumes. In the content field, though? Super Mario Maker for Nintendo 3DS is great. If you don't care about sharing your courses with the world, you'll be just happy with what this title has to offer. It's gimped a bit, but the power to go nuts in course creation and have a laugh or two is still there. If you own the Wii U version of this game and have no need to take Super Mario Maker on the go, you'll be fine skipping. If you're a 3DS owner who's never played the original, jump in. Super Mario Maker is brilliant fun, and the 3DS version is a fine way to experience that. You could try and wait for a sale, of course, but Nintendo rarely drops the price of their titles in a significant way. All the same, this game will sit between Buy and Wait from us. Disclaimer: We received a physical copy of Super Mario Maker for Nintendo 3DS for review from Nintendo. The online portion of the game wasn't live until Nintendo released a patch on November 28.